Go try its variety of homestyle Italian specialities. Left, Bar Amis bartender, Seamus Banning, and head bartender, Anwar Morgan, serve up some refreshing water ice and cocktails at the restaurant’s grand opening celebration on Wednesday, July 12. \The name Lo Spiedo, a restaurant that opened in the Philadelphia Navy Yard in 2014, is officially a name of the past following the successful re-launch under its new name: Bar Amis. Realigning its culinary offerings to reflect a variety of homestyle Italian specialities, the Vetri family eatery welcomed old and new patrons alike to its 4503 S. Broad St. location on Wednesday, July 12 to officially commemorate this rebranding with a food and drink-focused grand opening celebration. While diners and bar-goers in attendance at the celebration had the option to seek the air conditioning inside the newly redesigned Bar Amis, named after a colloquialism from the Bergamo region of Northern Italy meaning “something or someone you love,” executive chef, Brad Spence, 40, was busy preparing and serving a few, special and freshly prepared celebratory plates outside on the hot summer evening. 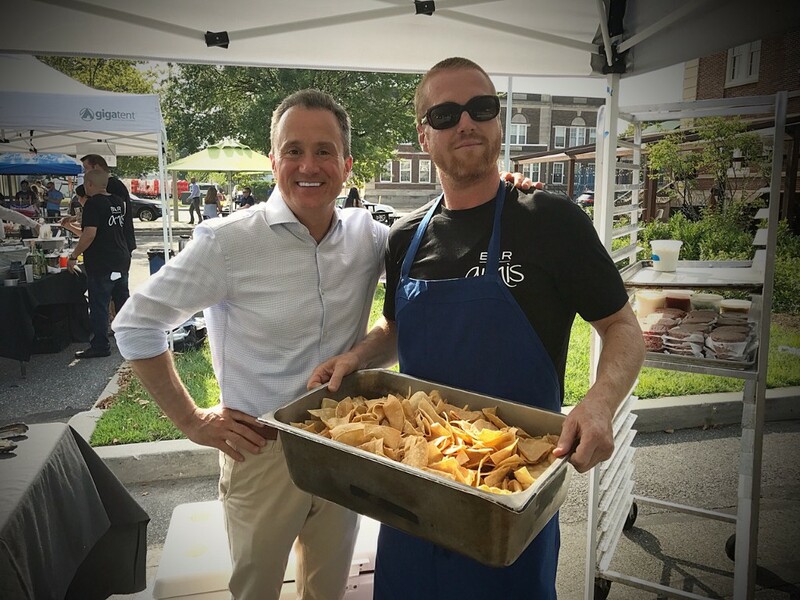 Left, Bar Amis General Manager, Martin Cugine, and executive chef, Brad Spencer, prepare to serve nachos at the restaurant’s grand opening celebration on Wednesday, July 12. In coming up with his listed outdoor menu for the night of the celebration, Spence added to it the Amis Burger which was designed specifically for Bar Amis, and which is essentially a 4-ounce burger, with meat purchased from George L. Wells Meat Company Inc., and with added lettuce, tomato and onion. Customers are also given the option to pair the burger with two types of cheeses: a housemade cheese wiz or American. 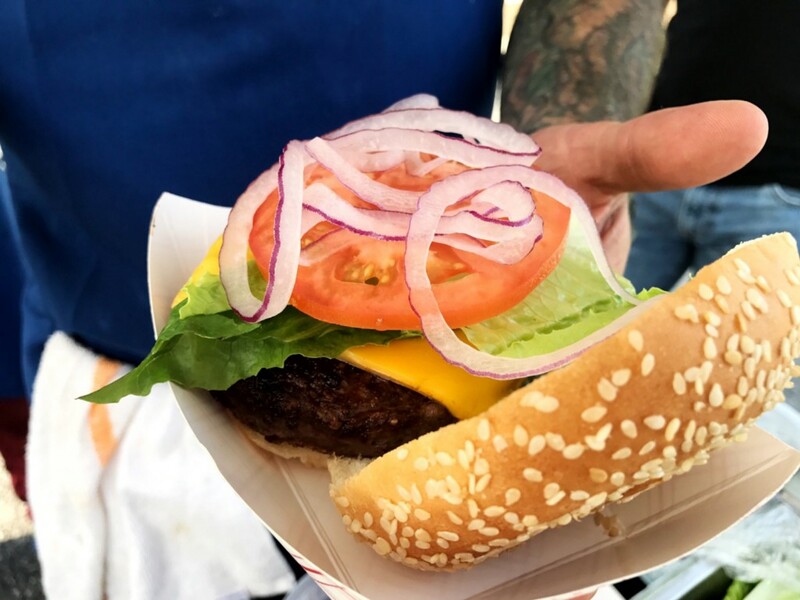 In utilizing the best ingredients at hand, he also rounded out the outdoor eating offerings with a meatball dish, “Sal’s Old School Meatballs,” of which the origin can be traced back to the Italian roots of Sal Ventri, Marc Vetri’s father. Again using meat purchased from Wells, Spence said to make these meatballs he must first soak bread in milk, add the hard Italian cheese, pecorino, then add parmesan, parsley and garlic. Lastly, each meatball is braised in tomato sauce. As for dessert at the opening party, Spence offered a vanilla sundae, consisting of ice cream, toasted pecans and cherry syrup, which was also made and prepared on site at Bar Amis in a gelato machine. 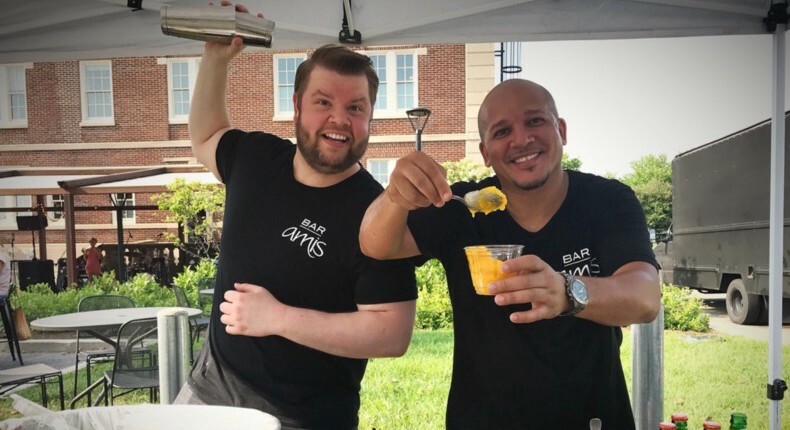 Mango water ice infused with tequila was also available for purchase at the event. Although the water ice is not on Bar Amis’ everyday menu, other dessert options which are include mom mom’s rice pudding, tiramisu and the Amis sundae with amerena and spiced pecans. Additionally the full menu offers a variety of snacks, sandwiches, salads and pasta, larger plates and sides. To view the full Bar Amis menu, click here.